The Commonwealth Games really have us in the Aussie spirit! We are so proud to call this country home and to cheer on our amazing athletes. If you’re really feeling the Australian spirit this week, keep the spirit alive by supporting local Aussie businesses! 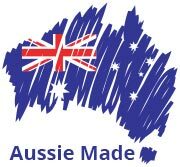 Did you know that our Olympic rectangle trampolines are Aussie made? In comparison to the rest of the market, over 95% of trampolines are imported. We are one of few trampoline companies to have our product made right here at home. Not only do we make our trampolines right here on the beautiful Gold Coast, but they are top quality. You know you can count on us to provide you with a trampoline that lasts long and strong. Are you ready to get bouncing? Give us a buzz today to get yourself an Aussie-made trampoline. We deliver right across this incredible country. From East to West, we are ready to deliver a top-quality Aussie trampoline straight to your door.